Sometimes you find the exact words you're looking for hidden in the pages of a book. And sometimes, in a bizarre turn of events, that book is one you wrote yourself. Today marks twelve weeks since my foot surgery. I have some mixed feelings about that milestone, especially since I still have a long way to go. I'm working hard in physical therapy and I am so grateful for the progress I've seen so far. However, I've had a few setbacks the past few months. Healing is a slow process. Just to give you an idea of how I've been handling that, I'll tell you: when I called my doctor's office a few days ago, instead of saying "I'm a patient of..." I accidentally said, "I'm impatient..."
Even though I don't feel "normal" yet, my broken, beautiful life is happening now. That includes my writing life. Projects for my freelance clients always come first, but I've still managed to squeak out some energy for editing the Time Wrecker Trilogy. It's so easy for me to get frustrated by the ways my current life compares to my old writing routine, but you know what? I'm going to refocus on how much I love this story, and how determined I am to get it right. Every step forward is worth celebrating because it brings me a little closer to my goal. 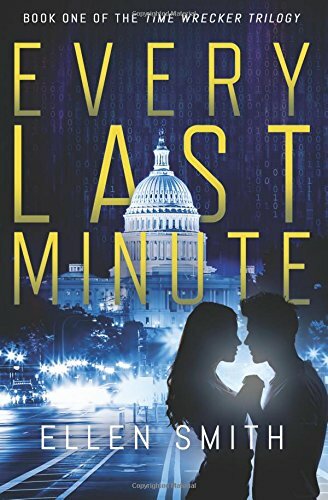 It was so funny to me that the words I needed to hear were tucked away in the first book of the Time Wrecker Trilogy, Every Last Minute. They're spoken by Renee Rasmussen, the "voice" behind one of the editorials included in the novel. The full text is below. I hope you enjoy this little excerpt! There are so many times that I’ve waited and wished and prayed for a second chance, only to be denied. Have you read all the articles out there about timeline rectification? I have. Have you looked up an inmate in the system to see if they’re nearing eligibility for parole . . . meaning they might have a shot at getting into the rectification program? I have. Have you written personal letters begging an inmate to consider a rectification? I’ve written over 200—averaging one a week for four years. I had a perfectly ordinary life until I was thirty-two years old. Not perfect, mind you. Perfectly ordinary. I had a roommate who was friendly and a cat with terrible cat-food breath and a job I liked well enough but wasn’t a career. And then, one day, in the middle of my very ordinary existence, I was knocked unconscious. I woke up in a hospital bed, attached to more monitors than I’d ever seen in my life. My apartment had been broken into by two teens who were high on drugs and looking for anything they could steal and sell on the black market. I didn’t know them, and neither did my roommate. Our door was locked. Our blinds were shut. We just had the bad luck to be in the first-floor apartment when these two men got the idea to break in. This isn’t forever. I clung to those words as I tried to rebuild my life. My roommate was too traumatized to consider another apartment in the city. She ended up moving back to her home state to be with family. She took the cat too. I hope they’re doing well, but to be honest, the whole experience was so hard that we can’t talk without it all bubbling back up. I don’t have my old job anymore. When it reached the point that I’d been in the hospital longer than I’d ever worked there, they let me go—and legally, they had no obligation to keep me for as long as they did. Finding a new job and getting insurance with what are now “preexisting conditions” was a nightmare. I’d like to go back to counseling, but I can’t afford it. I think a vacation could be restful, but I have to save up all my days off in case I need another surgery. For years, the only thing that kept me going was the chance that someday, I might get a timeline rectification. Believing that all my struggles were temporary helped me handle every challenge. At last, the time came when the criminals could qualify for the rehabilitation program. They both signed up. I felt like I was going crazy when I found out they’d left the rehabilitation program. What happened? Why did they change their minds? Could they try again? Finally (after I wrote many, many letters), one of them wrote back. He had been willing to put forth the effort to rehabilitate, but his partner in crime wasn’t. Prison was working for him. He was powerful there, respected. He didn’t want to change. The other criminal—the one who had written to me—was very sorry, but unless they were both willing to rehabilitate, a time wreck would be impossible. He was working toward his own parole, apologized again for his actions, and wished me well. This is forever. It took me one letter to realize it, but much, much longer to believe it. For over a year, I devoted myself to the cause of convincing these two men to change their minds. But after a while, I began to realize that I simply couldn’t change people who weren’t willing to change. The only person I could rehabilitate was myself. And so—slowly, painfully—I began the long, hard process of accepting my reality. This is the problem with time wrecking: it lets victims focus on changing the past instead of shaping the future. At some point, we all must decide whether we’re going to keep looking back or start moving forward. My journey has been full of stops and starts and many, many backward glances, but I am finally moving forward. At last, I’m starting to heal. This is forever—this one broken, beautiful life. We’re only guaranteed one chance to do it right. 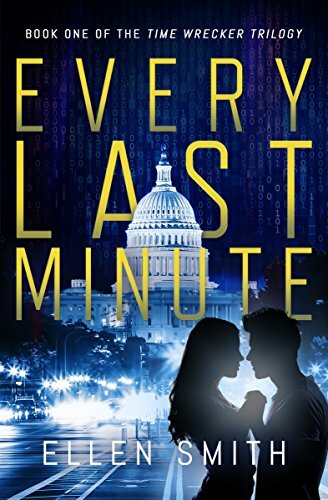 As I get Book 2 of the Time Wrecker Trilogy ready for publication this fall, I'm sharing a few samples from Book 1, Every Last Minute, here on the blog. The first sample piece is below. Enjoy! So I try to stay out of politics on this blog. I do. If you’ve been following my blog for the last couple of years, you know I like to keep things upbeat. But in light of the protest in DC this week and the bloggers coming out of the woodwork to rage against Deirdre Collins’s new reality show—which, come on, isn’t reality TV pretty rage-worthy anyway?—I feel like I need to speak up. Look, I don’t like the idea of timeline rectifications any more than you do. I want to say that they’re a terrible idea, that there’s no problem so big that it justifies mucking around with time. I want to post the numbers to some hotlines and give the websites for some charities and tell you that no matter how bleak life seems, there’s always help available. But you know what? That’s not true. The kinds of crimes that qualify for a timeline rectification leave more lasting damage than you can fix with three sessions of talk therapy or a couple months in the slammer. They cause big problems that require big solutions. I feel like I’m going to lose some readers for this. Maybe a lot of readers. But I feel like there needs to be a point where we stop talking ourselves in circles and start doing something to help. I’ve been really frustrated with the tone of the online conversation surrounding timeline rectification. We’re all about raising awareness these days. We throw data and statistics at each other to support our points of view. We get angry and drop friends and lose followers as we passionately stand up for what we believe. Because, honestly, if you’re so against crime victims agreeing to time wrecks, are you doing anything to help them in this life map? If their insurance runs out—or if they don’t have any—would you pay for their physical therapy? Their mental healthcare? Give them a job? What if they need help even after you think they should have “moved on”? What if they aren’t back on their feet before you’re bored of playing the white knight in their story? And what about the offenders? How many people with a criminal record do you know, really? Are you supporting rehabilitation programs? Would you rent to someone who had just been released from prison? Would you hire an ex-con, or is finding them a job someone else’s problem? Because if not, guess what? You’re the reason why people think timeline rectifications are their best option. You’re the reason why people think they have more to lose and nothing to gain by staying. You’re the reason people think there’s no help for them in this life map. "How much of your book is inspired by real life?" When it comes to the Time Wrecker Trilogy, I'm relieved to say: not much. Thank goodness, right? Even after drafting all three books, I'm still not sure what I'd do if I was offered the chance to travel back in time. However, there are a few things I have in common with my main characters. For example: like Mara Sterling, I've lived with chronic pain. In fact, several months before the release of Every Last Minute, I had a much-anticipated surgery on my right ankle. After a lot of rest and a lot of physical therapy, I was able to walk and move more comfortably than I had in a long time. On my book release date, I walked in to the party pain-free, and it felt amazing. After that, I felt confident setting some big publication goals for Books 2 and 3 in the trilogy. Since both books were already drafted, I planned to release Book 2 in the spring of 2018 and Book 3 in the fall. Yep, two books published in one year! I knew it would be a big push to make it happen, but it was totally worth doing. After all, as a reader I don't like to wait too long between books in a series. Is it any surprise I'd have the same preference as a writer? Unfortunately, my pain-free days didn't last. Over the winter, chronic pain slowly crept back in to my life. After a lot of thought, I decided to push back the release date of the second book in the series to prepare for my next surgery, which will require a longer recovery time. As hard as it was to make that decision, it was definitely the right thing to do. Like many things in life, chronic pain has a way of throwing a left hook at my neatly-laid plans. The good news is, I can always reassess, refocus, and revise my goals. So here's the new plan: I am working towards a tentative release date of October 18, 2018 for Book 2 in the Time Wreckers Trilogy. I've also set a tentative release date for Book 3: October 18, 2019. (If you've already read Every Last Minute: Book 1 of the Time Wreckers Trilogy, you know why October 18 is a significant date!) I love the symmetry of releasing each book one year apart. I won't make my original goal of releasing both Book 2 and Book 3 in 2018, but that's okay. 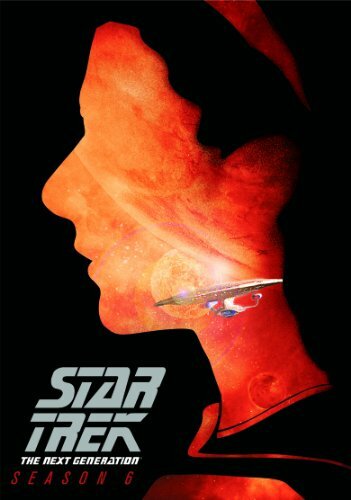 I'm still going to meet my goal of telling all the stages of Will and Mara's story. I promise it will be worth the wait. Regardless of any other circumstances, writing and sharing these stories with you has been a dream come true. I'm grateful to be an author on any publication schedule and I'm looking forward to everything 2018 and 2019 will bring! Stay tuned!